This radio is designed for operation in extreme conditions. Thanks to the drip protection, it is ideal for demanding use in the construction industry and trades (e.g. road construction or garden nurseries), for sports activities or for events. 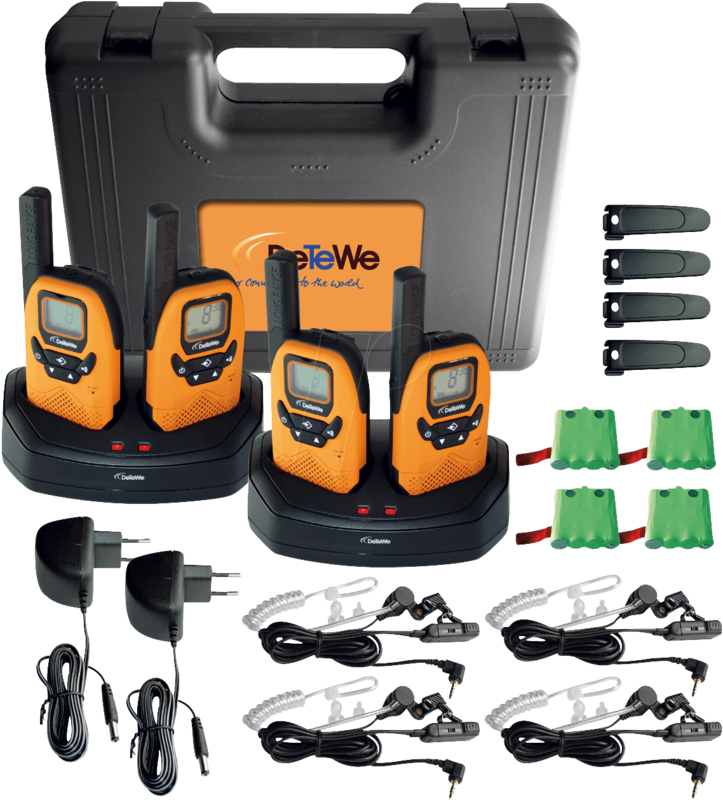 If the walkie-talkie has been mislaid or fallen out of your pocket, it is easy to find thanks to its striking orange colour. The walkie-talkie also covers greater distances with a range of up to 9 km.